Take advantage of Filipinos’ passion for skin whitening products. 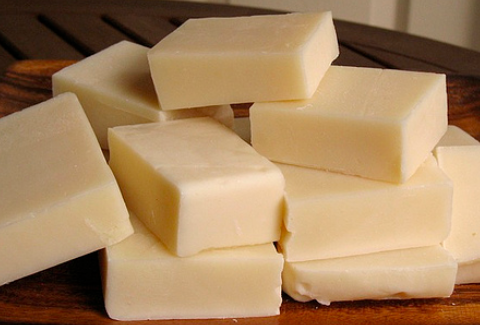 Make and sell your own glutathione soap. Here’s how. These days, a lot of women, and even men, wish they had fairer or whiter skin—an aspiration that has become a great driving force for the health, beauty, and wellness industry. Not surprisingly, there is a constantly growing demand for skin products that can help whiten the naturally brown or dark complexion of Filipinos. If you have noticed, many of such merchandise contain glutathione as an active ingredient. To begin with, glutathione is present in almost all living cells. It has the distinction of being able to regulate the action of the so-called ’lesser antioxidants.’ However, despite its well-known health benefits, many people remain extremely hesitant to take glutathione as an oral supplement. They would rather apply it directly on their skin—thus giving rise to many glutathione-containing products for external use, particularly bathing soap. Many entrepreneurs have already seen promising opportunities from this. How about putting up a small, home-based business that produces glutathione herbal soap? You may be surprised how easy and less costly this interesting business idea is. • Since titanium dioxide and caustic soda are sold in powder form, you need to dissolve them in water to come up with the required solution. Specifically, you need to dissolve 60 grams of titanium dioxide in 1.5 liters of water, and 1 kilo of caustic soda in 2.5 liters of water. Although you can also use tap water, it is advisable to use distilled water to prevent contamination. • You can produce the kamias extract by fermenting 1 kilo of the bilimbi fruit (known locally as kamias) in a jar with 2 tablespoons of salt. After 24 hours, get the extract, strain it, and transfer it to another container. The extract is ready for use. • To produce the apple extract, cut up one apple and use a blender to crush it. Strain the extract using a piece of cheesecloth to remove impurities. • Once you have measured the ingredients, put them in individual containers and label them properly. 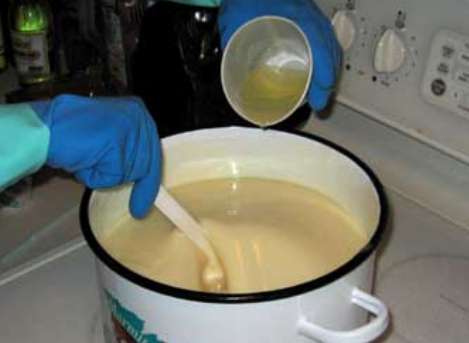 Since it is the base material for the soap, you may put the coconut oil into the pail directly. 1. Remove the glutathione powder from the capsules, then mix it with the coconut oil in a pail until the powder is fully dissolved. 3. Gradually pour the lye solution into the mixture, mixing continuously in one direction. 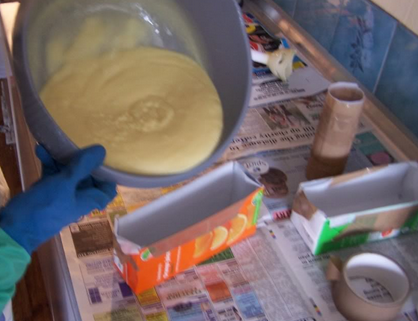 Changing the direction when mixing will create swirls or a cloudy effect on the soap. After adding the lye solution, you will notice a change in color and consistency of the mixture. Continue mixing until the consistency becomes like that of condensed milk; the mixture gets finer as you continue to mix. Make sure to mix the mixture well enough; otherwise, the soap will feel rough and itchy on the skin. 4. Now pour the mixture into the mold. Beforehand, make sure that its hollow parts are covered with plastic cutouts so the soap will not stick to the mold and it can easily be removed later. Using a scraper, level and smoothen the top portion of the soap. Once it becomes smooth, set it aside for five hours to cure. 5. After some time, you will notice changes in the color of the soap. Heat will also be released by the soap. These are both signs that the soap is hardening. Even if the soap has already hardened after five hours, don’t remove it from the mold until the following day, when it has completely cooled down. Cut the long bar into approximately 60 pieces. Smoothen the edges of the soap. Store all the soaps for at least 24 hours. Glutathione herbal soap remains in the best condition for use from 1 to 1.5 years. Herbal soaps that are more ideal for use eight months to a year after those are made as during that stage, the items are very well cured. After about a year, because the extracts drip in the form of moisture, herbal soaps may shrink naturally by some 5 grams. 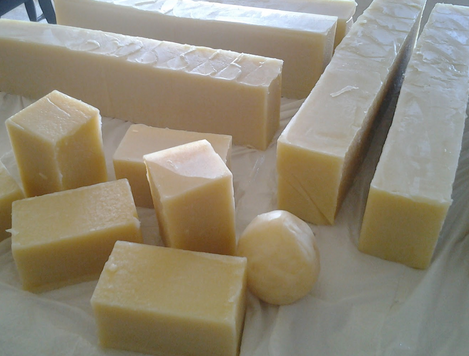 In comparison, chemical-based soaps, because they use preservatives, may remain hard and last longer. For packaging, wrap each soap in clear plastic and label it properly. To attract more people to buy the product, disclose its key ingredients using the label. The price of a 130-gram bar of glutathione herbal soap in the market ranges from P100 to P200. While you may use this price range to sell individual bars, you may opt to lower the price for wholesale buyers. Even though the market is flooded with this kind of product, it is still possible to compete for a share of the market. You may sell your gluthatione soap online through a Website, social media accounts, or online selling sites. For this project, what is recommended for use is the active white glutathione capsule imported from Texas in the United States. Each capsule contains corn, yeast, wheat, soy, rice, barley, lactose, citrus, milk, fish, and egg products. Other brands may also be used so long as they are registered with the Food and Drug Administration (FDA). To know the registered brands of glutathione capsules in the market, you may inquire from FDA’s Policy Planning and Advocacy Division at Tel. (02) 842.5606. • Measure ingredients accurately and precisely. • Empty the containers thoroughly so you don’t waste anything. • Avoid contact with the soap mixture before and during the curing and hardening period. This is an updated article (originally published online in February 2013).